Have you noticed a recent influx of individuals advertising coaching services? With more than 27 million entrepreneurs in the United States, it’s no wonder that coaches of all kinds have emerged from the woodworks. But it begs the question: what does a coach do? The digital age has created a need for coaching services in just about any niche you can think of. Scrapbooking coaches? Someone, somewhere HAS to be doing this. Since coaching is becoming more and more popular, The Shield Sisters Initiative decided that it was time SOMEONE created a coaching 101 series. With the four-part Coaching Made Clear series from the Shield Sisters Initiative, we’ll lay it all out on the table. 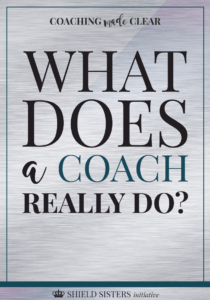 What do coaches do? Do you need a coach? Which coaching option is right for you? And how you can find the right coach for you. Let’s get started shall we? What does a coach do? Coaches, in the most basic definition, provide guidance and assistance for a specific skill or concept. To illustrate, think of an athlete. Let’s say that this athlete is a gymnast. Her skills are currently at an intermediate level. She has the basics down, but she would like to improve her abilities in order to compete at the national level. In order to achieve this goal, she hires a gymnastics coach. This coach will assist her by creating a training plan, including her goals, the areas of her training that need improvement, and the specific events in which she will compete. But here’s the key: the gymnast is the one who puts in the blood, sweat, and tears, the coach is there to provide support, accountability, and motivation. The coach helps her to clarify her goals and create a plan that sets measurable deadlines and achievements. True success is determined by the gymnast; in whatever definition of success is most meaningful to the gymnast. The same is true of online coaches. 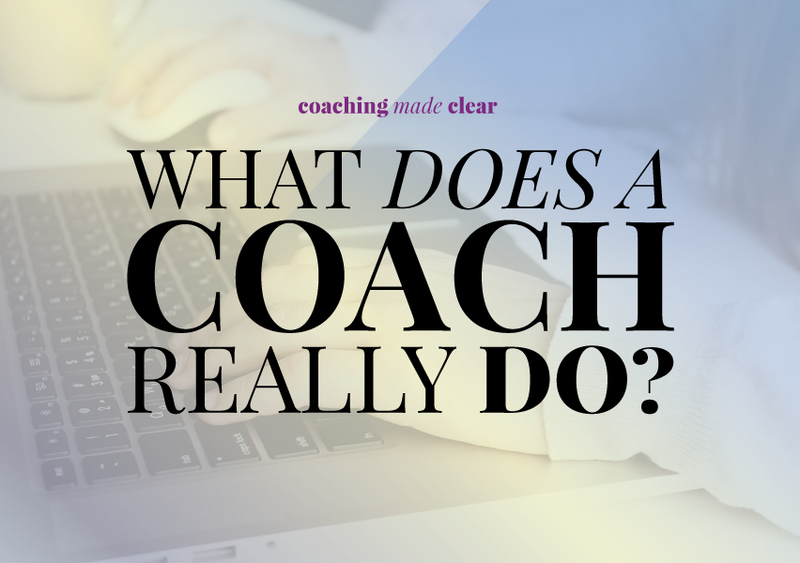 While each coach may offer different services or specialize in a niche such as business, blogging, or health, the foundations of coaching remain the same. The coaches you see advertising services online are there to provide what we like to call the ABC’s of coaching: Accountability, Brainstorming, and Clarity. By providing these ABC’s, your coach allows you to put in the work in a way that best serves you. Let’s dive in and articulate each of these concepts a bit further in Part One of Coaching Made Clear. Possibly one of the most common reasons for hiring a coach is accountability. Accountability is much easier to adhere to when we set goals with another person. I know for me, I’m much more likely to get stuff done when I tell someone else about it and ask them to hold me accountable. If I don’t deliver for one reason or another I feel like garbage. But on the other hand, when I try to hold myself accountable for something, I’m basically the Princess of Procrastination and I never get anything done. And I still feel like garbage! Coaches hold you accountable for your goals. When you enter a coaching session, the main goal of your coach is to help you get to the bottom of exactly what it is that you want to do. They will also ask you questions about how you are going to do it, and when you would like to do it by. Setting measurable milestones allows you to gain a clear picture of how far you have come from the start of your coaching journey. Your coach should also help you to brainstorm ideas for your success. Let’s say that you are working with a sales coach. Most likely, they will want to brainstorm ideas with you about how to improve your sales process. This might include what products or services are going to be a best fit for your ideal clients, or maybe they will help you to create a plan for a new set of products or services that are soon to be offered. Brainstorming will also allow you and your coach to establish clear lines of communication about what you are or are not comfortable with. If you coach doesn’t seem to be picking up what you are putting down, it is important to address your feelings with them. Remember, it is their job to assist you, but only with what you are comfortable with. If your coach suggests something that makes you feel uncomfortable, be sure to voice your concerns. Coaches, for all their talents, are NOT mind readers. They won’t know what you’re thinking unless you tell them! With that in mind, if you have an idea for something that you think could be HUGE, make sure you tell your coach about it! Again, WE ARE NOT MIND READERS! We don’t know what’s going through your head unless you tell us! We want to know what’s on your mind, and what kind of AMAZING ideas you are cooking up. Keep lines of communication open and honest. This is the best way to generate new ideas with your coach. Coaching should provide a measurable amount of clarity to your life. What are you aiming to do? What are your goals? How are you going to get there? What are you going to do to make your dreams happen? Clarity is something that many individuals struggle with. Coaches will assist you with getting to the source of your fog and provide assistance with clearing the clouds away. Your coach should help you to get crystal clear on your goals and dreams so that you are able to make positive progress in the right direction. Coaches typically help you to achieve clarity through self-examination questions. This might be through a written questionnaire, or it might be through a 1:1 coaching session. Every coach runs their program a bit differently, but asking questions is an important part of being a successful coach. Again, this is just a basic outline of the purpose of a coach. Each coach will have unique methods of coaching and providing services. However, any coach that you work with should AT LEAST provide the ABC’s outlined here. 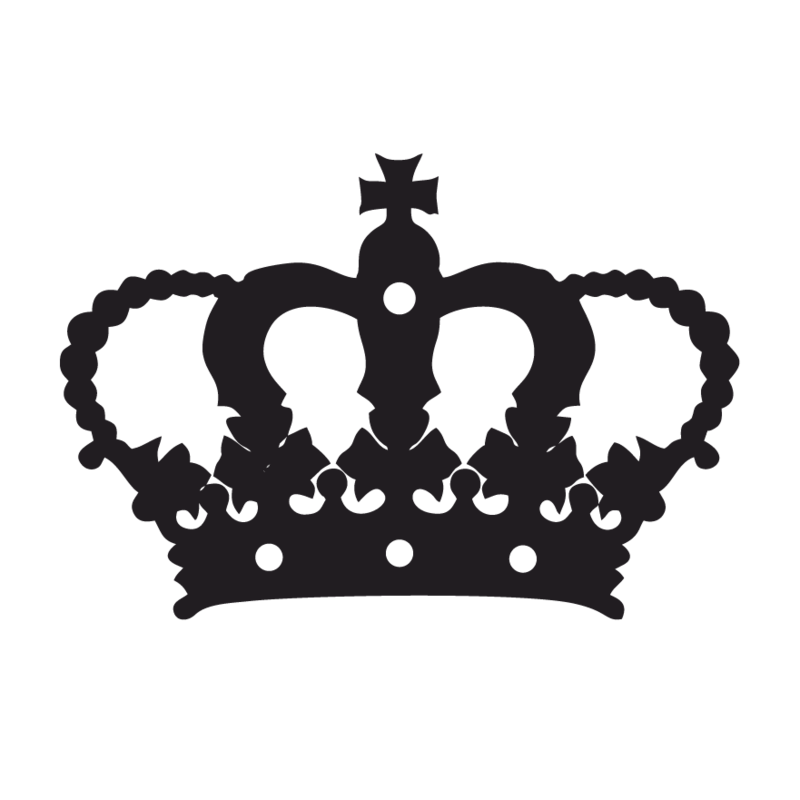 In the next installment of Coaching Made Clear, I’ll be helping you decipher whether or not you need a coach. Until then, let me know what characteristics you look for in a coach in the comments below! This post is sooooo good, Megan!